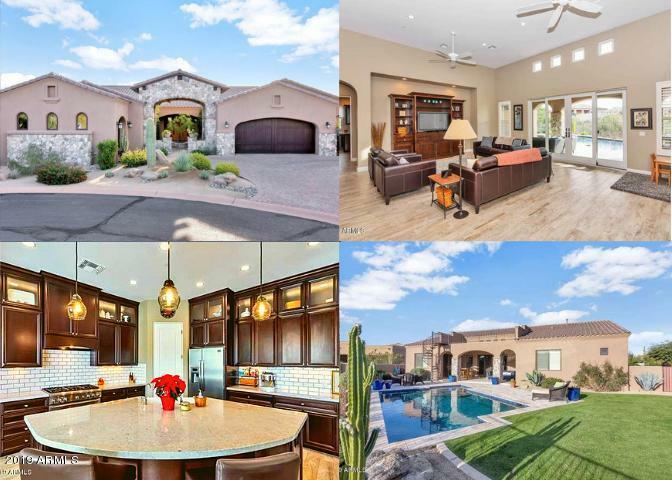 All LEGEND TRAIL homes currently listed for sale in Scottsdale as of 04/25/2019 are shown below. You can change the search criteria at any time by pressing the 'Change Search' button below. 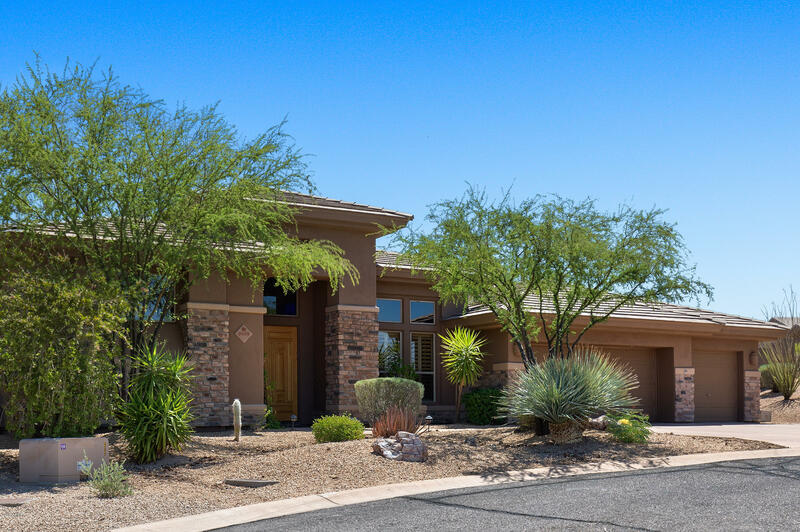 "Welcome to this Luxury Villa in a beautiful golf community at Legend Trail offering an inviting courtyard, separate guest quarters, sparkling pool, rooftop balcony, gorgeous mountain views and more. 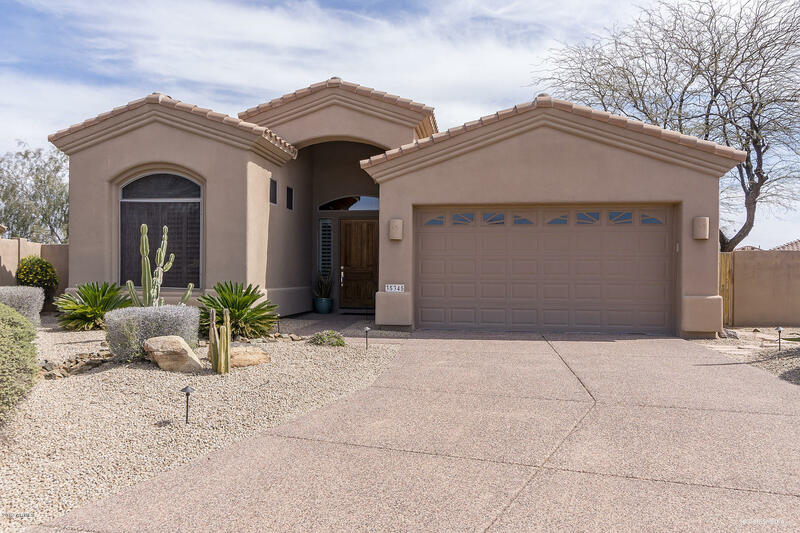 You'll appreciate the soaring ceilings, open concept floor plan with porcelain wood-look tile flooring, natural light and high-end finishes throughout! No details were overlooked in its gourmet kitchen which boasts extra tall custom cabinets with glass door inserts, accent lighting, crown molding, su"
"A luxury home with contemporary details. 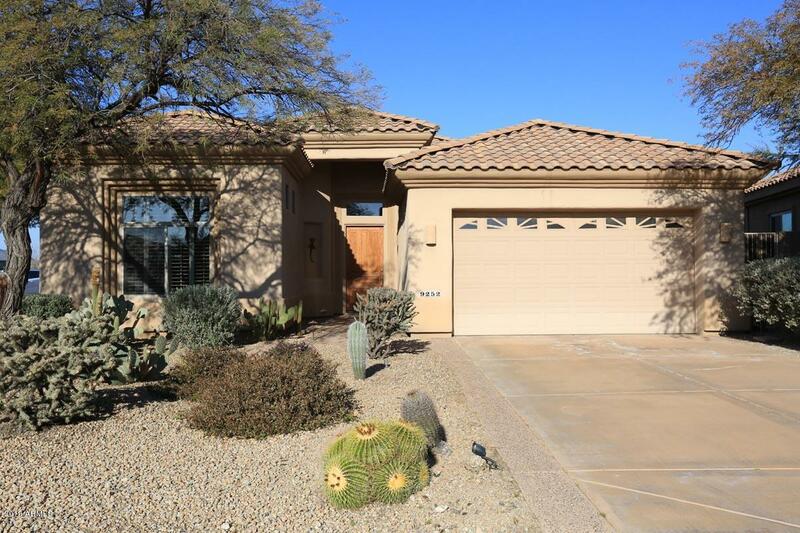 This Legend Trail home sits on a quiet cul-de-sac with a large secluded backyard. The open floor plan has 3 bedrooms plus a library-style office with built-ins. The entry flows into the living room with a generous array of windows that flood the home with natural sunlight and views of the backyard. The upgraded chef's kitchen with granite counters, large island, double ovens, gas stove, walk-in pantry, and ample counter space is light, bright and opens to"
"**TREMENDOUS VALUE** awaits in the prestigious community of Legend Trail. Welcome to this spacious and beautiful desert oasis. Enter the large foyer with soaring ceilings and elegant crystal chandelier! The formal living space features a wall of windows and a beautifully tiled gas fireplace. The formal dining area also featuring a crystal chandelier. Light streams through the large windows, creating a very open and welcoming feeling. 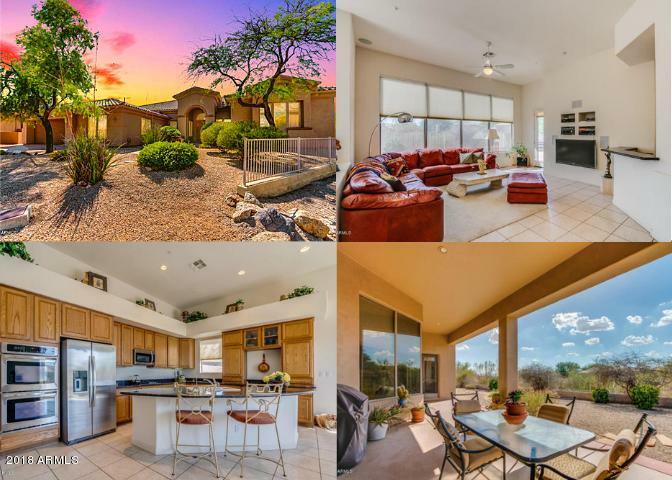 This open concept living space has built-in shelving and surr"
"One of the best smaller homes in Legend Trail features a corner lot offering privacy, great outdoor space and spectacular desert and sunset views of Black Mountain. Built by Avron Homes, this Great Room plan is filled with natural light and open space and flows seamlessly to the large covered patio with heated pool, built-in-BBQ, Hot Tub and lots of seating space. Some of the recent upgrades include granite in kitchen and chiseled-edge tile flooring. Legend Trail is a premier Golf community "
"Perfect private retreat or investment property. Situated on quiet cul-de-sac, this oversized lot with beautiful mountain views has ample room to add a Casita or expand outdoor living area. Backyard covered patio overlooking the private heated pool and firepit. Popular split bedroom floorplan with 2 Bedrooms and a Den, which could easily be converted to a third bedroom. Kitchen opens to Great Room with gas fireplace. Garage has builtin cabinetry and new epoxy flooring. Short walk to the Legend T"